Looking for fresh apps for your iOS device? We’ve found 33 great apps that were released over the last couple of days. 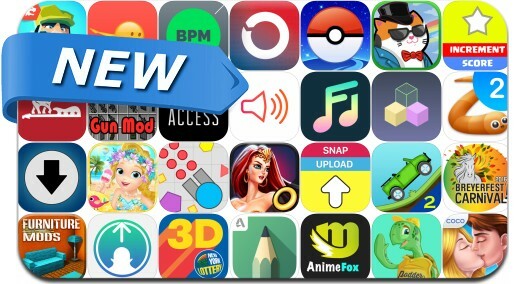 This new apps alert includes Diep.IO Tank, Pokémon GO, Clash of Snakes 2: Slither.io Mods and Skins Edition, Word Search Pro‧, High School Crush, Score for Snapchat, The Counter Of Death, ShawnAccess, Dab on Em, Ring Mania, Free Ringtone Downloads, iDownloader Pro, Upload Stories & Save Your Time, Fancy Cats and many others.